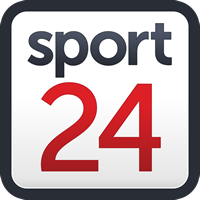 A sensational 65 by David Miller and excellent South African bowling in the final two overs propelled South Africa to a 7-run series-clinching win in the second T20-International at the Bidvest Wanderers Stadium in Johannesburg on Sunday. In the last two overs, 27 runs were needed for a win by Pakistan. Hussain Talat hit the first for a four and the second for 2, but was bowled by Morris’ third delivery for 55. Morris bowled Imad Wasim for six off his final delivery. In the final over, bowled by Phehlukwayo, 15 runs was needed for a win. Phehlukwayo bamboozled Shoaib Malik as he was caught by Rassie van der Dussen for 6. He bowled Hasan Ali next ball for one and Pakistan fell short in their bid to reach 189. Phehlukwayo took 3-36 and Morris captured 2-36 to set up a victory that looked unlikely after Pakistan reached 147 for one after 15 overs with Babar Azam (90) and Talat in the midst of a 100-run stand off 74 balls. South Africa scored 188 for three in their 20 overs. Pakistan slammed 181 for seven, thanks to 90 by Azam and 55 by Talat. Miller was the destroyer-in-chief, hitting 65 off 29 balls with five sixes and four fours, in propelling South Africa to 188 for three. He was responsible for the remarkable 73 runs produced in the last five overs. Miller destroyed Usman Shinwari in the 20th over, which yielded 29 runs. Van der Dussen hammered 45 off 27 balls and helped South Africa to strike 54 runs of the five overs between the 10th and 15th over. The two openers, Janneman Malan and Reeza Hendricks, laid a sound foundation as South Africa scored 44 runs in the power play. Azam was Pakistan’s key batsman and he set up a possible win as Pakistan reached 147 for one. Azam and Fakhar Zaman struck 30 runs in the first two overs bowled by Beuran Hendricks and Chris Morris. The debutant Lutho Sipamla calmed things down temporarily by only conceding five runs in the third overs. Hendricks came under some more fire in the third over before Fakhar was caught by Malan for 14 and Pakistan slipped to 45 for one. Azam blasted 18 runs in Junior Dala’s wayward first over and the captain, Miller, seemed to be at a loss of what to do to stem the tide. The legspinner Tabraiz Shamsi was forced into the attack while the power play was in progress and Pakistan reached 70 for one upon the conclusion of the first six overs. Azam reached his 50 off 34 balls in the ninth over as Pakistan moved to 79 for one. Azam struck three consecutive fours off Shamsi’s second over with an exhibition of brilliant stroke play. The 100 was reached in 9.5 overs with Pakistan in cruise control. Talat and Azam added 50 off only 34 balls for the second wicket. Azam found the gaps and the boundary ropes almost at will and South Africa lacked the slower variations to keep him at bay. Sipamla finished with 0-23 in four overs in his maiden international game and bowled with great control. He was the pick of the SA attack. Talat struck Morris for a six over midwicket as the 100-run partnership with Azam for the second wicket came off 74 balls. Azam holed out to Dala off an off-cutter by Beuran Hendricks for a sensational 90 as Pakistan slipped to 147 for two. That was a turning point as Pakistan required 36 runs in the last three overs and South Africa improved their bowling considerably by using cutters and slower variations. Asif Ali was caught for two by Reeza Hendricks off Phehlukwayo.